The Junk Rig Corribee and the Coromandel have always been a popular variant of the class, especially with blue water sailors – Roger Taylor’s Mingming being one of the better known examples of course. 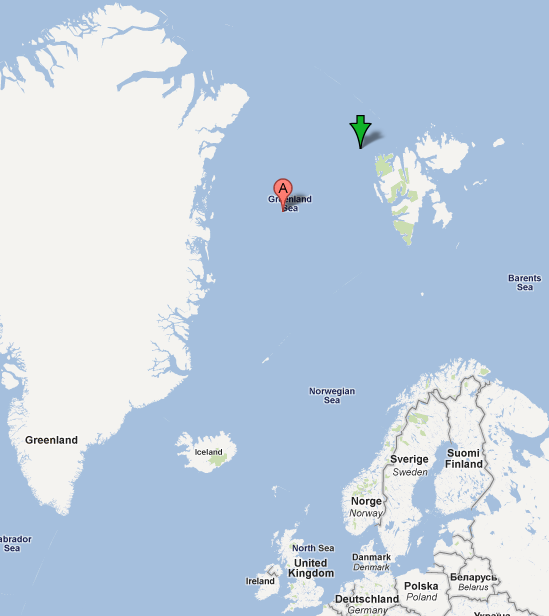 There is a wealth of excellent information about the rig on the website of the Junk Rig Association http://www.junkrigassociation.org, and a Youtube presentation made by one of their members, David Tyler – the link is http://www.youtube.com/watch?v=6jM0LnEEXV8. Is this the right time of year to buy? 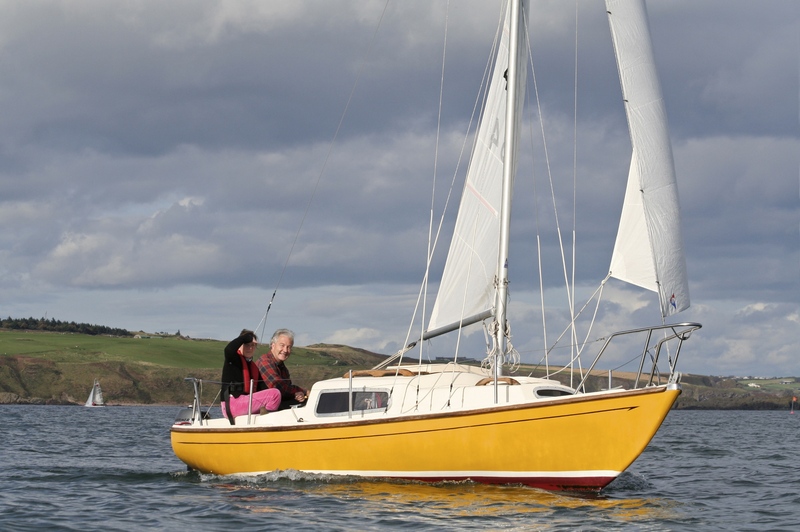 Several readers have recently asked this question about buying a Corribee. I suppose the answer is that the best time to buy is when you find a boat that suits you, but there is a lot to be said for buying at the end of the season. To start with, you get time to sort out a mooring or berth, and time to check your new acquisition over before the relaunch in the Spring. There will undoubtedly be some maintenance to do, such as anti-fouling and servicing the engine, but by doing it yourself you will have the satisfaction of a job well done. While the extra time that an Autumn purchase is especially useful for project boats that need a fair bit of work done, don’t forget that many Corribee owners have maintained their boats in top condition, almost regardless of expense. These boats may seemingly command a slightly higher price but actually represent exceptional value – they come with a good inventory and a very short list of ‘things to do’. Just such a bargain is Shamrock of Halton Quay, a MkII fin keeler lying at Gosport. 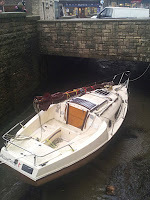 Loaded with useful gear and ready to sail away, if you’re looking for a good quality boat check the For Sale page for the full details. Small boat sailing on a budget is not usually the staple fair of large boat shows, and as a Corribee owner I have often felt out of place at anything grander than a boat jumble. 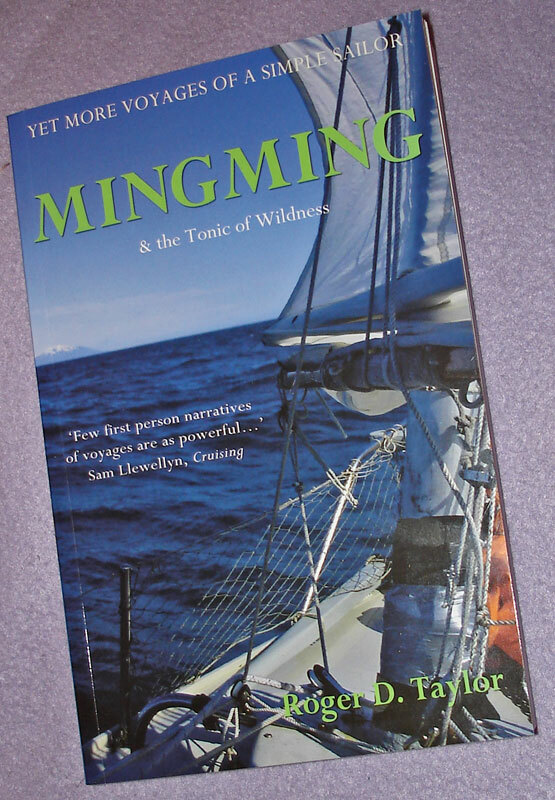 Not the case in London this year – the London International Boat Show organisers have invited Roger Taylor to exhibit Mingming at next month’s show at Edexcel. As part of a special attraction on world cruising, Mingming will be displayed fully rigged, exactly as she was on her return from Roger’s Arctic voyage in 2011. For any Corribee or Coromandel owner this is an excellent opportunity to see first hand the modifications and alterations needed for this sort of voyage, and Roger will be very happy to talk to any Corribee owners. For those of us who prefer to read about, rather than sail to far-flung parts, Roger will have copies of all his books available to sign and sell (in three different languages). There will also be specialists who provide equipment for this type of journey on hand, along with a photographic display of the world’s oceans. 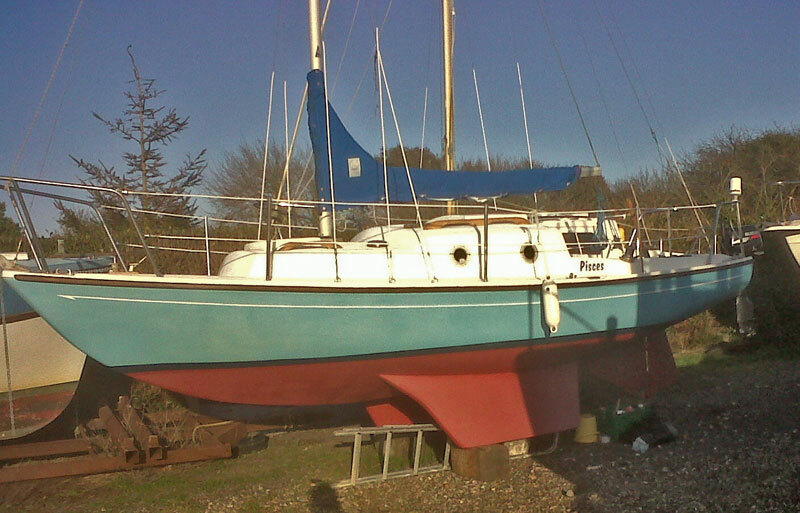 Every now and then a boat appears on the market that needs a refurb – a bit more than new cushions and a bit of varnish. With larger boats this can be more than a little daunting, but something Corribee or Coromandel-sized is much easier to tackle. The costs are lower with small boats, and it is often possible to trailer them to ones’ own driveway which makes the work much more convenient. We’ve just been asked to place a For Sale advert for just such a boat, in this case a Coromandel that unfortunately broke its’ mooring. Luckily there is not too much damage, certainly nothing that can’t be repaired with a little knowledge of grp work, and some of the more expensive work has already been done. There is also a trailer available which makes the prospect of renovation work even more feasible, so for anyone looking for a project over the winter have a look at the For Sale page. More information is documented on the owners blog at http://tmiajrb.blogspot.co.uk. A few weeks ago I had to go to Keyhaven to collect a boat for delivery to Cowes. We entered through Hawkers Lake as we had arrived at the top of the spring tide, and made our way past a line of moored boats, one of which was a very pretty looking Corribee. Unusually, it was fitted with portlights rather than the usual large side windows. While portlights are normal for a junk-rigger I have never seen them before on a standard Corribee. 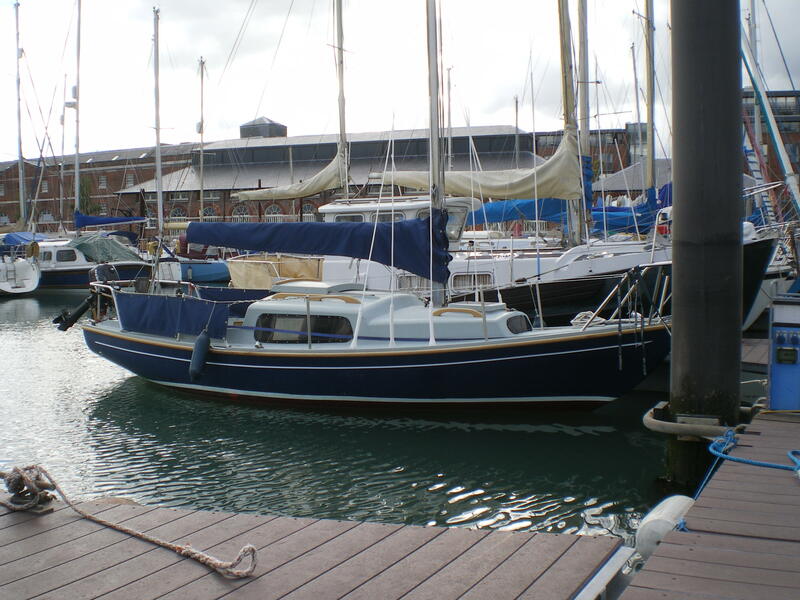 Although the owner was planning to sell, he has just been in contact to say that he intends to keep her for the meantime. 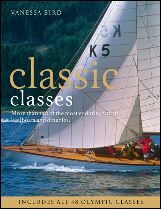 Featuring designers from an internationally recognised hall of fame including William Fife, Olin Stevens, Maurice Griffiths and Uffa Fox, Classic Classes is the perfect resource for classic boat owners and enthusiasts worldwide, whether their interest lies in high-performance thoroughbred racers, well-loved creek crawling cruisers or popular home-built classic dinghies. Published in advance of the 2012 Olympics, there is also a section devoted to the 46 Olympic classes. To order your copy today visit the Adlard Coles Nautical website at the following link http://www.acblack.com/nautical/Classic-Classes/Vanessa-Bird/books/details/9781408158913. And yes, it does include a section on the Corribee! Spotted on one of Dylan Winter’s excellent sailing videos – a Coromandel at around 4m 52s. 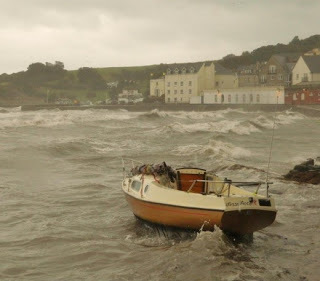 We’ve posted links to Dylan’s work before, and they are an excellent source of inspiration for coastal cruisers, creek crawlers and anyone else who enjoys mucking about in boats or boating about in muck. Some time ago I promised to prepare the tooling and jigs for a small run of replacement Corribee tillers. This happened in January 2012 and I have since made up three batches in various timbers and sizes (see HERE). Just the answer if your present tiller is cosmetically challenged or you need a spare for emergencies. Most popular so far is the short pattern in solid teak or iroko. I hope to keep a small number in stock, just in case an urgent replacement is needed, but will also be able to make to order in case your choice of timber is not available off the shelf (turn-round time is usually less than a week).